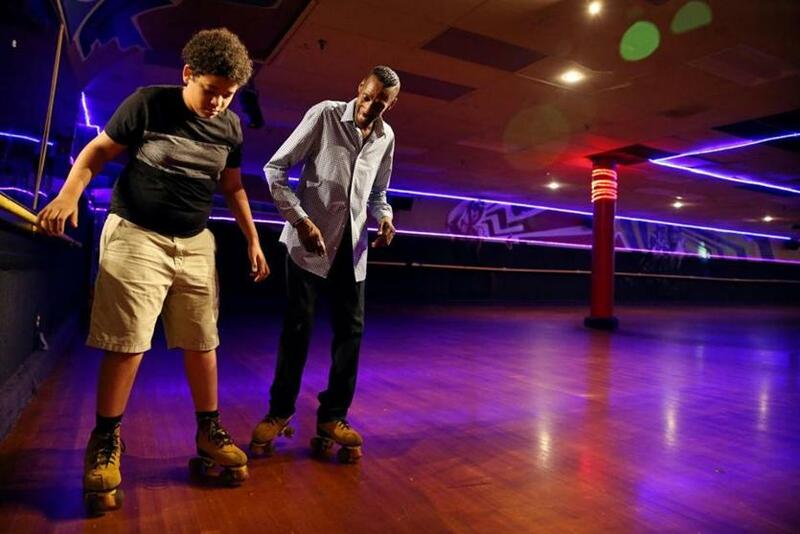 Chez-vous Roller Rink has been in operation for 85 years in Dorchester. When the Roller Palace opened in Beverly in 1979, roller skating was in full swing. 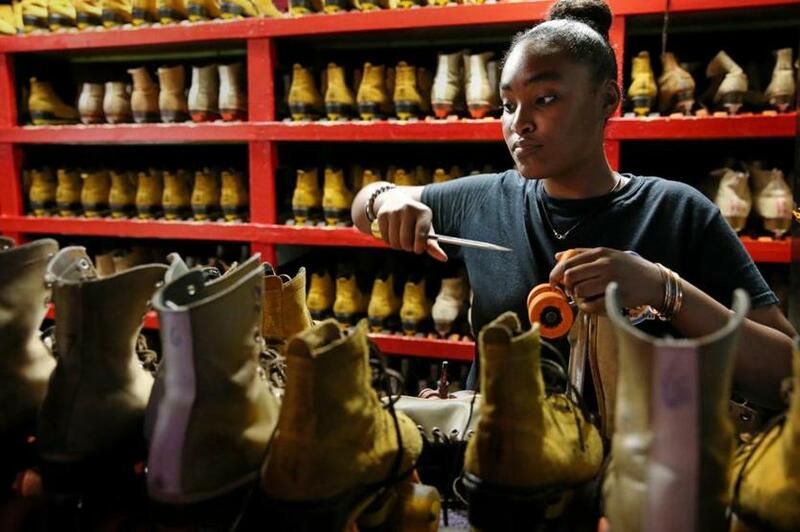 Donna Summer and Michael Jackson were on the radio, roller disco rinks sprang up across the country, and skate sales surged to 300,000 pairs a month. For almost 40 years, it was a place of first kisses and favorite songs, of birthday parties and the start of summer. But on Aug. 7, the Roller Palace held its final skate, the latest in a series of roller rinks to turn out their multicolored lights. As the owners announced plans to sell the property, employees and longtime patrons struck a wistful note. Eramo worked at the rink for two decades, and it holds a special place in his heart. It’s where he met his wife Jaclyn, on Valentine’s Day 2012. When she came back a few weeks later with her friends, he asked her out. “The rest is history!” he said. Eramo was the deejay for the rink’s farewell, which a drew a big crowd. 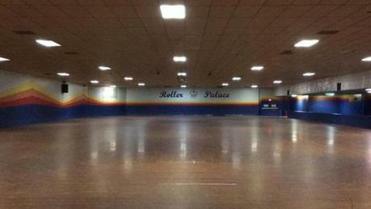 The Roller Palace in Beverly is now quiet. On its website, the rink extended its thanks “to all that have visited us over the years.” Co-owner Ken Breen told the Salem News that the Sohier Road property will be sold soon. Breen could not be reached for comment. Officials have approved plans to convert the building into a two-story self-storage facility, according to the city’s website. The property is also home to Soccer Etc., a popular indoor soccer field. Zach Durham, 14, got a skating lesson from Edward Warren, who had invited friends to celebrate his 38th birthday at the rink where he's been skating since he was 10. During roller skating’s heyday, running a successful rink didn’t require much business savvy, said Rob Gould of the Rolling Skating Association International, which represents the industry. “If you opened a rink, people would come,” Gould said. But nowadays, with roller skating well past peak popularity, turning a profit is much harder, Gould said. Most teenagers aren’t interested, and competition for entertainment is intense. “Any activity that Moms and Dads decide to spend their time and money on with their kids is, in a way, competition,” said Gould, who runs a roller rink in Wilbraham. There are about 30 roller rinks in Massachusetts today, the group said. Cary Chandler learned how to skate at Roller Palace, making her first wobbly laps between snacks of Airheads candy and pizza. When she joined the Boston Roller Derby about five years ago, she returned for the first time in years. Chandler was new to roller derby, and had to learn an entirely different way to skate. That meant a lot of Tuesday night sessions, practicing to the sound of ’70s classics until she could skate backward with ease. Now, the Tuesday night crowd is at a loss, she said. 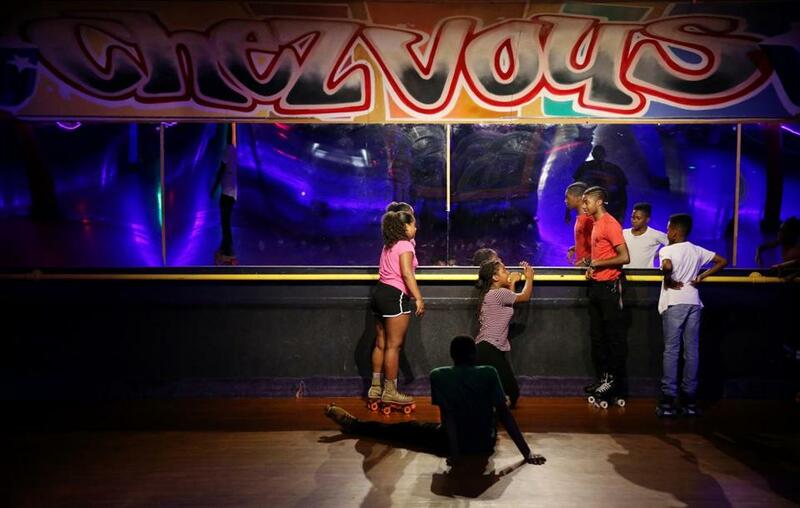 Boston has just one roller rink left — the Chez-Vous, a Dorchester mainstay for decades. 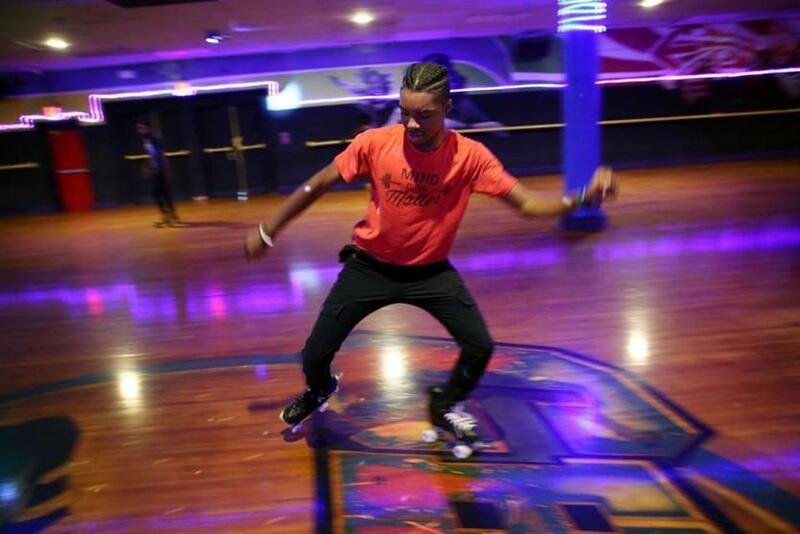 Derick Toney, who has managed the rink for three years and worked there “since he was old enough to work,” said it was sad to see another classic roller rink fade away. But the place still draws a good crowd. Just a half hour after it opened Thursday afternoon, a few dozen skaters were already there, looping around the dimly lit floor to a pulsing soundtrack. Edward Warren was celebrating his birthday at the rink, like he does every year. He started skating there at 10, and became a fixture. When the owners decided to spruce up the side of the building, he was one several skaters whose likeness was painted on the cinder blocks. “The atmosphere, the music, the people — it’s one of the best things to do with young people,” said Warren, who had brought a group of teenagers with him from his Dorchester-based community group, Project Mission. Now 38, Warren keeps going back to the rink for its nostalgic mix of old and new. Some things stay the same, he said. But in little ways, others keep changing. “We get to grow with the place,” Warren said. Nick Johnson, 15, said he visits the rink three times a week. Renia Zerai works behind the counter at Chez-vous.